Maximum hydroplaning resistance through four wide, longitudinal grooves. Shoulder rib block design resulting in low noise and optimum water drainage through high sipe density and errated profiles. Optimum straight-line driving stability and handling performance through three wide circumferential ribs. 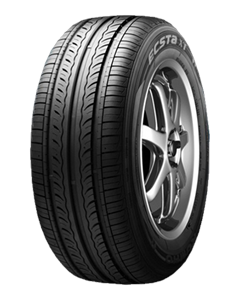 Sorry, we currently do not have any tyres with the Ecsta KU37 pattern in stock.